Set in an exclusive and much sought after development in the heart of Monamolin village, 9 Meadow Park is sure to please. This beautiful home extends to approx. 99 sq m and is in pristine decorative order throughout. 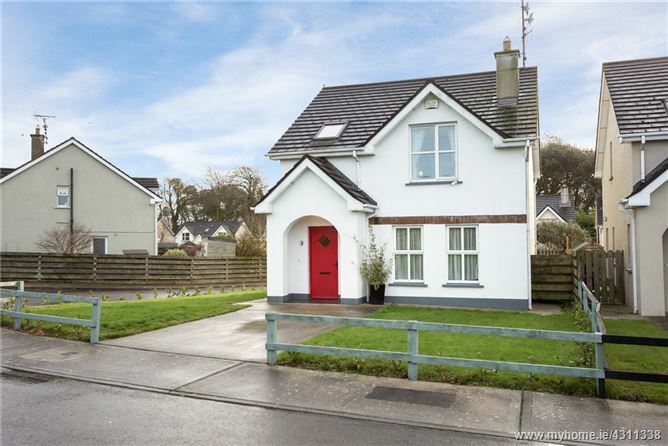 Positioned within close walking distance of Monamolin and nearly equidistant from Gorey, Wexford and Enniscorthy, this superb home is sure to appeal to a wide audience. 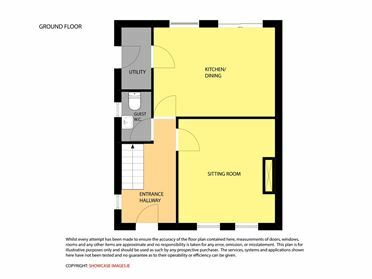 The accommodation on the ground floor briefly comprises of a wide welcoming hall, sitting room, spacious and sunny eat in kitchen / diner which is fully fitted with high quality units, adjoining utility and a guest WC. 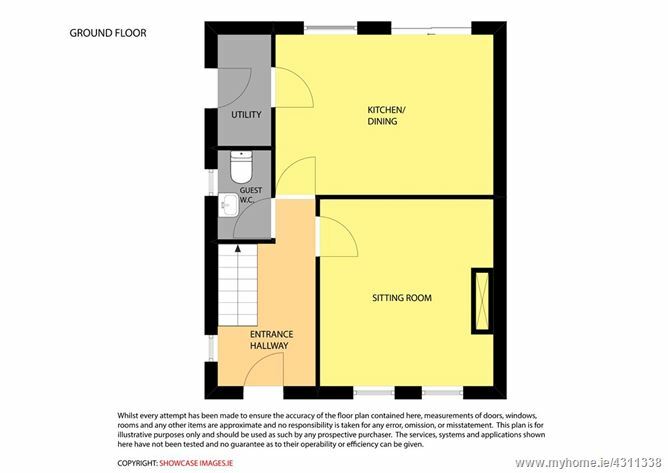 On the first floor there are three bedrooms, master with ensuite and a family bathroom. Outside to the rear of the property is a generous, low maintenance south-east facing garden. Views of beautiful North Wexford's stunning countryside makes this truly a residence that will provide a beautiful family home. Entrance Hall 4.20m x 2.20m. Laminate wood flooring, alarm. Sitting Room 4.20m x 3.90m. Laminate wood flooring, feature open fireplace, TV point. Kitchen / Dining Room 3.60m x 4.90m. 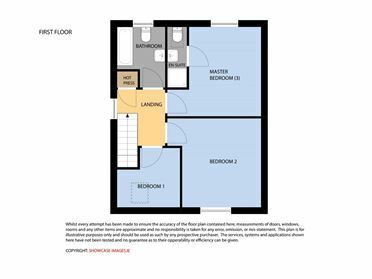 Linoleum flooring, built in kitchen units, Beko dishwasher, Indesit electric oven and hob, TV point, sliding doors to rear garden. Utility Room 2.50m x 1.20m. Built in storage, plumbed for washing machine and dryer. Guest WC 2.00m x 1.20m. Tiled floor, WC, wash hand basin. Landing 2.46m x 2.10m at widest point. Carpet flooring. Bedroom 1 2.60m x 2.75m at widest point. Carpet flooring. Bedroom 2 3.89m x 4.10m at widest point. Carpet flooring. Master Bedroom 3.91m x 4.10m at widest point. Carpet flooring. En-Suite 2.65m x 0.85m. Tiled floor and shower, WC, wash hand basin. Bathroom 2.65m x 2.10m at widest point. Tiled floor and bath, bath, Triton t90sr shower over bath, WC, wash hand basin. Three bedroom detached dwelling extending to 99 sq.m. / 1, 065 sq.ft. approx.